John Windsor-CunninghamI initially heard of The Home Place because of my friend Polly McKie, who's starring in the show alongside John Windsor-Cunningham. When I was approached about doing an interview with John, I just had to say yes! In addition to being a world-renowned actor, John is also one of NYC's top acting coaches. He is currently starring in Irish Repertory Theatre's production of Brian Friel's The Home Place, the story of "Christopher Gore," his son "David," and the housekeeper that they’re both in love with, and how their lives & their village are affected when "Christopher’s" cousin comes to town to prove his Darwin-inspired theory. He hopes that be measuring the craniums of the indigenous Irish people, he’ll prove their natural inferiority within the human race. 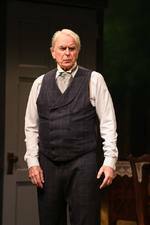 The Home Place plays at Irish Repertory Theatre through November 19. Click here for tickets! 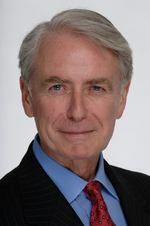 For more on John be sure to visit http://windsor-cunningham.com and follow him on Facebook and Twitter! 1. Who or what inspired you to become an actor? What started me off was the fact that when I was a boy I was incredibly lonely and I somehow ended up going to the local theatre regularly and just fell in love with what seemed like a whole new world that existed there. 2. 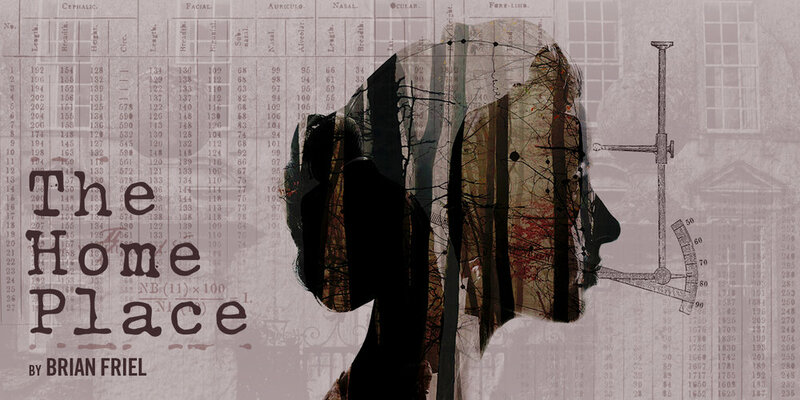 You are currently starring in Irish Repertory Theatre's production of Brian Friel's The Home Place. What made you want to be part of this show? There are some secrets that an actor doesn't want to share, but I will say that the play is simply so damned good. I love plays of all sorts, but am quite difficult to please, and Brian Friel quite simply knows how to write! John Windsor-Cunningham in "The Home Place"3. What do you relate to most about your character "Christopher"? Hmm! Being a landlord, which I was in my spare time in the UK before I moved here. But I strongly believe actors should keep some of their thoughts secret, so if the truth is something to do with wanting to marry someone like my co-star I'm not going to say! 4. What is one characteristic of "Christopher" you are glad you don't possess yourself? I possess all sorts of characteristics, and there's none about "Christopher" which I truly would not be happy to have. 5. In The Home Place, your character "Christopher" & "Christopher's" son "David" are both in love with the housekeeper. When has there been a time in your life when you and someone else were in love with the same person and who eventually won out? I would always persevere, refusing not to 'win', whatever the situation, believing - out of pure, stupid, ego - that I would win her in the end! But there was one time when I was 'madly keen' on an actress in a show and the large, very overweight actor (a famous comedian, and this was long ago so nobody can guess who I'm describing now that way) managed, somehow, to get her to marry him, and I was amazed, and ridiculously jealous and ridiculously annoyed, but it was a long time ago, and it was definitely not 'love'. No, I've avoided that! Stephen Pilkington, Christopher Randolph, Polly McKie, & John Windsor-Cunningham in "The Home Place"6. Eventually "Christopher’s" cousin comes to town to prove his Darwin-inspired theory. His cousin hopes that by measuring the craniums of the indigenous Irish people, he’ll prove their natural inferiority within the human race. Have you ever felt inferior to something before? If so, how did you come out on top? I often feel inferior to people! But the feeling just goes after five minutes, except when they are truly, truly great actors, in which case I can only work as hard as I can, and try to forget that I'm very, very far from perfect. 7. In addition to acting, you are an acting-coach. When did you decide you wanted to give back in this way? Soon after I moved permanently to the USA, ten years ago, I realized there are a few things about acting which I happen to know about, like one thing about Shakespeare that others seem to forget, and one about Harold Pinter, and I put a few dozen short videos on Youtube and suddenly lots of people asked for coaching. And because of Skype, it's easy, of course, to coach people all over the world. 8. What has been the best compliment a student ever gave you about your coaching? That would be much too arrogant to say, and they may have just been very, very polite! 9. What is one thing you learned from one of your students? That I'm often wrong. 10. Bringing the interview back to The Home Place. Where do you feel most at home? In The Home Place I have only one home, in Ireland. In real life it is very hard to say. John Windsor-Cunningham trained at the Royal Academy of Dramatic Art, and with Sanford Meisner in New York where he now lives. He has worked with every major theater company in the UK, and many in the USA including The Old Globe (CA), Shakespeare & Co (MS), Triadstage (NC), and Theatreworks (CO). Additionally John has worked with prize winning Off-Broadway companies such as The Irish Rep, The Mint, The Peccadillo, and The Keen Company. In the UK, John has performed with The Royal Shakespeare Company, The Royal National Theatre’s Education Department, The Old Vic with Sir Anthony Quayle, The Royal Exchange Manchester with Sir Tom Courtney, and The Haymarket Theatre with Sir Donald Sinden. Oct 23 Call Answered: Akron Watson: "The Play That Goes Wrong"